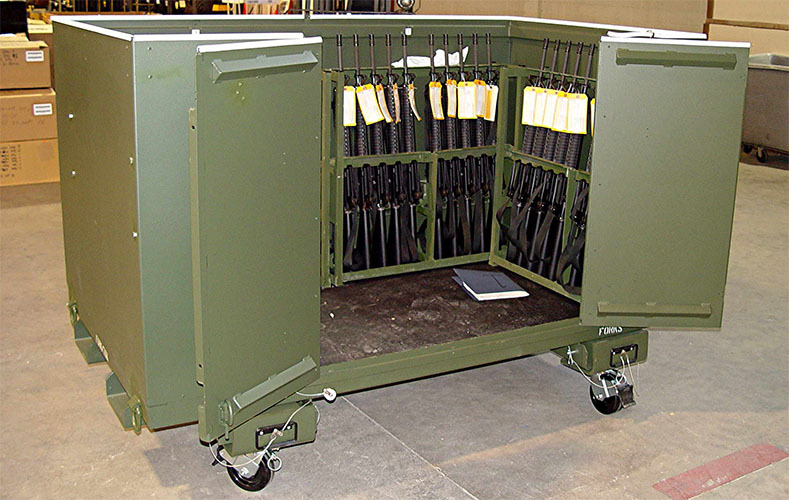 Wel-Fab, Inc. manufactures a full line of Weapons Storage Containers specifically designed for all US Military deployable units. Our weapons containers are currently deployed all over the world. We can customize our containers to meet your units’ specific needs.